Managing your social media accounts can take a lot of time and effort. The great news is that there are a lot of social media tools available to help you. 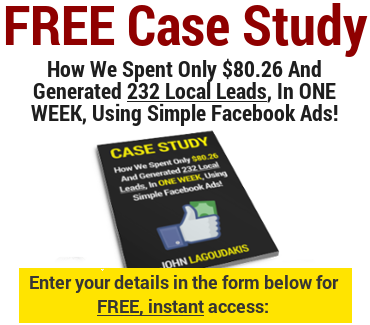 “I use this to automate my Facebook and Twitter accounts and to post into Facebook groups. Favourite feature: I can create a custom schedule (including basic categories – link, text, image) for how often I want to post to my accounts and have Post Planner recycle content that I’ve asked it to reuse. I can also schedule certain messages to only go out on certain days or times which is great for good night or good morning type posts. “I use this to help me choose additional hash tags on Instagram. “I use this to track words and phrases on Twitter. This was actually one of my strategies when I first became a VA in 2009 and was able to completely fill my client docket within 6 months. MeetEdgar is by far the biggest choice of my clients when publishing to Facebook and Twitter. “As a career agency professional specializing in digital and owning my own agency for the past 16 years, I have a few thoughts on social media tools. I first engaged in social media marketing in 1998, when my client was the RIAA and our task was informing college-aged kids not to rip music illegally from sites like Napster. We’ve come a long way since bulletin boards, IRC and chat rooms, with more platforms and more complexity. “As someone who has noticed a strong growth in Pinterest I’ve put much of my social media efforts into its platform. “My name is Leon Sun and I’m the owner of SocialLia, a resource for businesses and individuals who are interested in increasing their Instagram presence. “One of my favorite tools for managing social media accounts is called Crowdbooster (April 2018 update: The Crowdbooster website is no longer online). It gathers important data from your social media feeds and spits out some valuable information as it relates to your social media strategy. For example, the times when viewers are most likely to check out your most recent pictures or videos. “I’m the content manager at Hästens in Sweden. We use Minutemailer.com as our primary social media platform/scheduler. It schedules to Twitter, Facebook and LinkedIn but also does email marketing. Good thing is though is that the platform has a built-in content calendar, so I can plan and structure very easily. “The system is built for speed and simplicity, which is what we Swedes like. Very intuitive and also nice to look at, which I think is important if you’re looking at it lots. “Something like Hootsuite is good but complicated and a bit OTT. Buffer, used it here and there but it takes too long. “We use Google Alerts to receive a notification when a blogger publishes a story about our competitors or on a topic relevant to our industry. If it’s a good opportunity, we will often reach out to the reporter to develop a relationship and see if we can get added to the page. “On-site we like SumoMe for Social Sharing and bookmarking. It provides great metrics for your site and displays the number of shares publicly which is great. “For managing content we still like Hootsuite and it keeps it simple and easy to post. 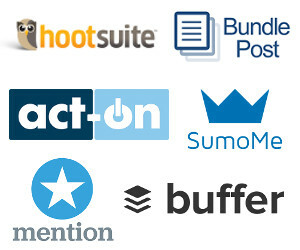 “We use Hootsuite to manage all postings for Twitter, Facebook, and Linkedin. I use Instagram for Business to manage all statistics for that. I use Facebook Business Manager to manage all analytics for that page. Twitter, we use analytics.twitter.com. for anything to do with Twitter. Also Google Analytics give me direct insight to leads coming from those pages. “I am Danyal Effendi, working as Digital Marketing Strategist at PureVPN with 6 years of experience in Social Media and Content Marketing. “There are many social media tools that I have tried or used for managing my social accounts such as Tweetdeck, HootSuite, IFTTT, BuzzSumo, Buffered and Ritetag. In all of these, my favourite tool is Hootsuite. The key take away from it is that it helps in managing all the social accounts and engaging with customers. “Hootsuite can also be used to delegate tasks with other team members which makes it a great team platform for learning. There are many different features making it most powerful social media tool. The best thing I like about it is that it supports all social media channels including twitter, facebook, pinterest, instagram, linkedin etc. Unlike other tools, it also performs activities other than scheduling and publishing which includes sourcing engaging content, responding to your followers and monitoring progress with analytics. “Ritetag is a great tool for hashtags monitoring. It tells what hashtags are being used and what the similar ones are. For keywords on twitter and live trends, Tweetdeck is most suitable social media tool. You can monitor multiple queries at a time and link multiple twitter accounts in it. BrandMentions and Google Alerts are nice tools for keyword alerts. They immediately tell whenever some new content is published containing the keyword you are tracking. “As an entrepreneur productivity expert and creator of the Revolutionary Productivity Process(tm) that enables entrepreneurs to save two hours a day or more in their business, I love tools that make companies more productive. “In my company my team uses several social media tools to manage our social presence and social interactions. We use Bundlepost as a content curation tool. From the start of using Bundlepost we saved and continue to save more than two hours a week of my team’s time. “I would always recommend Buffer for managing social media accounts, especially if we are talking about newcomers to the world of content distribution through social media and social media automation. Although Buffer are the pioneers in their field, being the first that provided the service of scheduling content publishing in advance, this is not the reason why I would recommend it. “Buffer offers pretty fair offers when we look at the quality/price relation and it even offers one package for individuals free of charge. I personally find Buffer rather convenient for using as well. It allows me to schedule Facebook posts without too much hassle from any mobile or desktop device. What are the social media tools that I personally use? I like to post my content from this website to my social media accounts using a WordPress plugin that does it for me on autopilot. The plugin I use is Social Media Auto Publish which publishes to Facebook, Twitter and LinkedIn. Are there any social media tools that you use for your business that haven’t been mentioned here? Leave a comment below! Lovely I like your post very informative i would like to share your article because its very helpful. I have one more suggestion for you which is SocioOn Pakistan First Social Media Mean Pakistan First Facebook. Everyone Can Earn Money by Socializing on SocioOn, Please Create Account and Try at once.